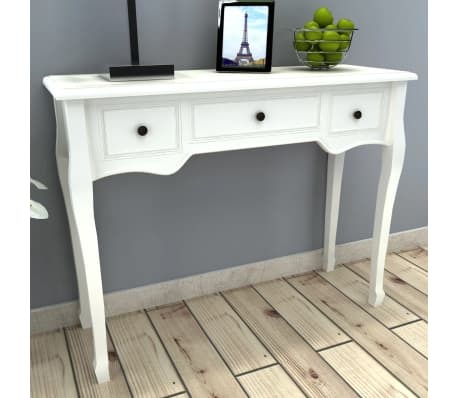 Our console table, featuring a simple yet timeless design, will surely make a great addition to your living room, dining room, hallway, and more. The table features excellent workmanship combined with great functionality. 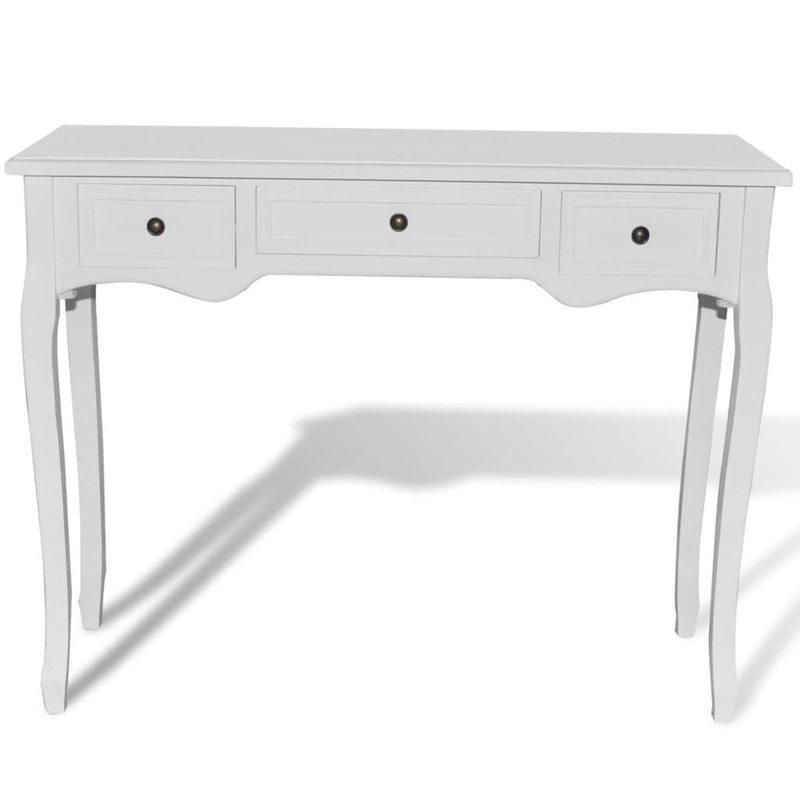 Thanks to its compact design, our console table occupies very little space and fits into smaller areas. 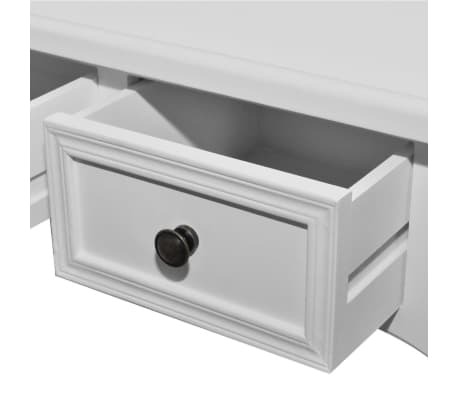 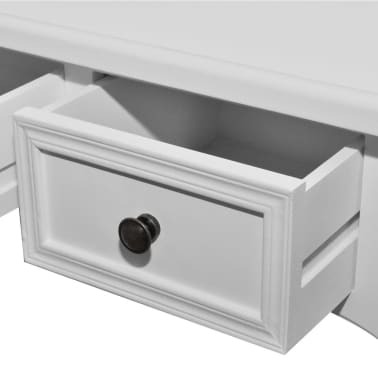 Three smooth-rolling drawers offer you additional space for your ornaments, cosmetics and other private belongings. 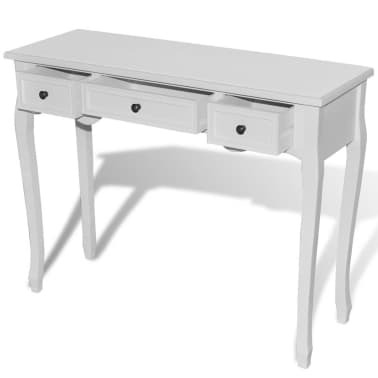 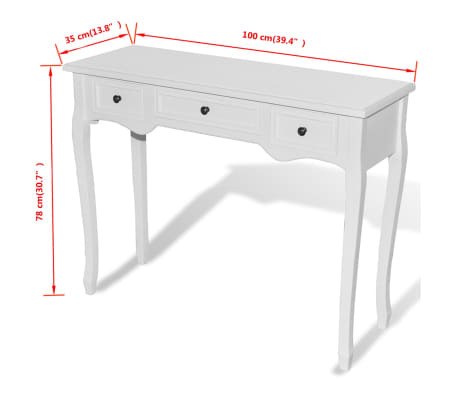 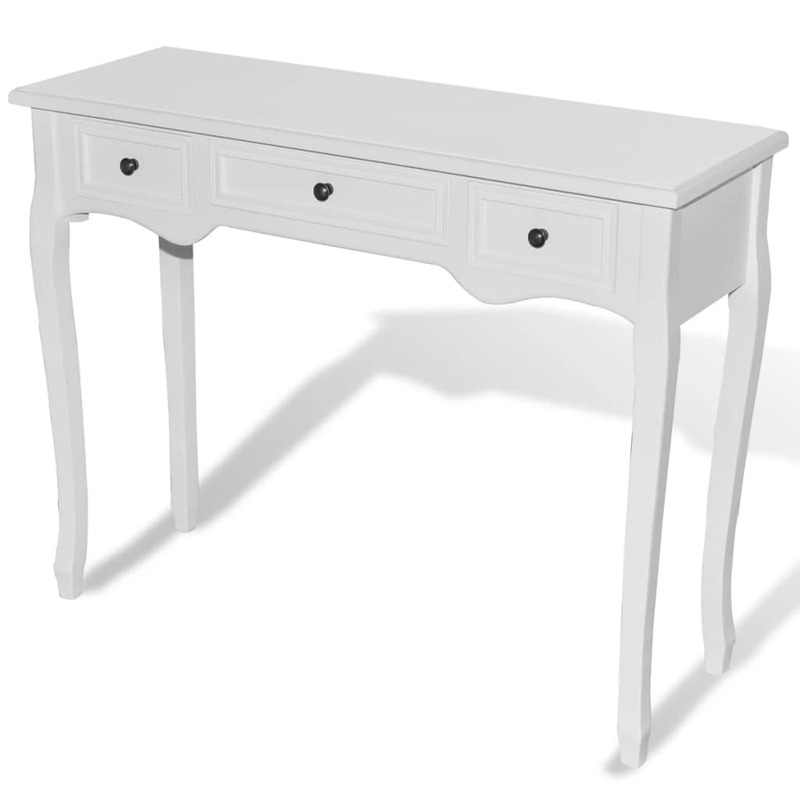 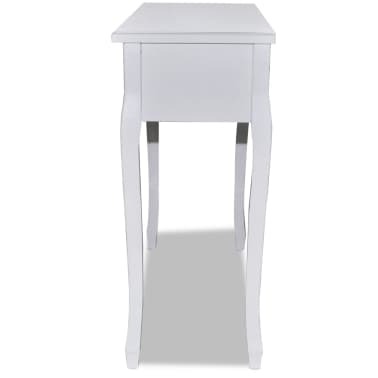 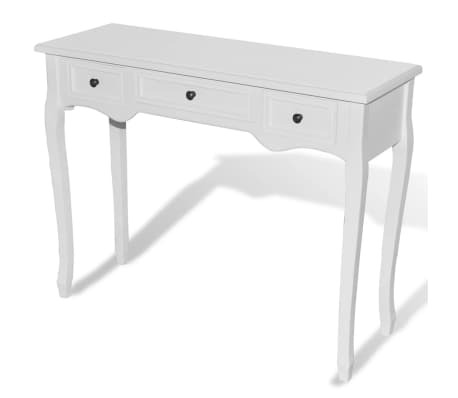 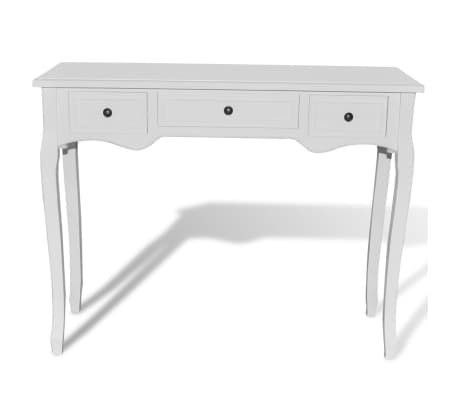 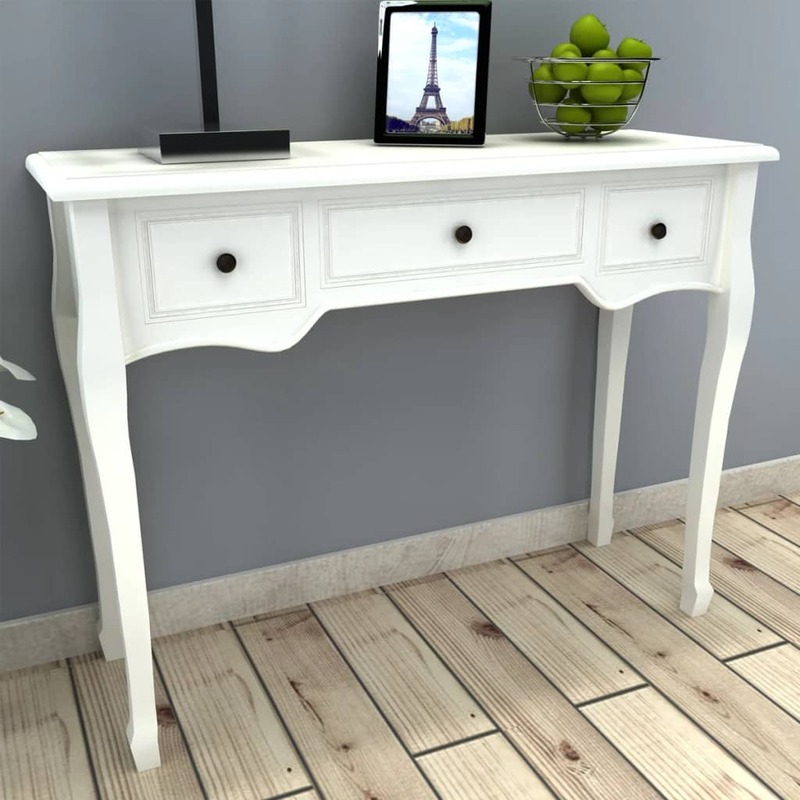 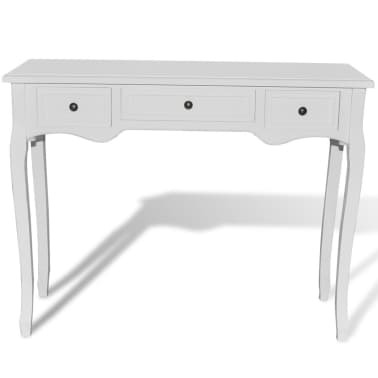 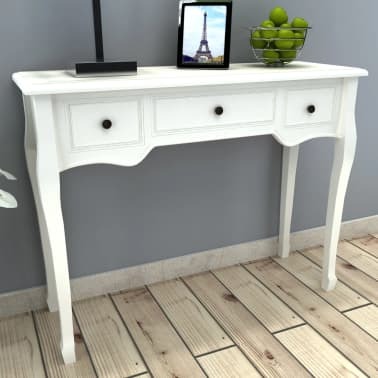 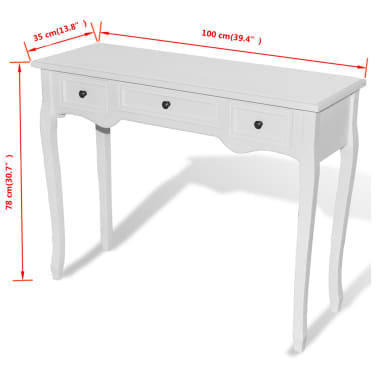 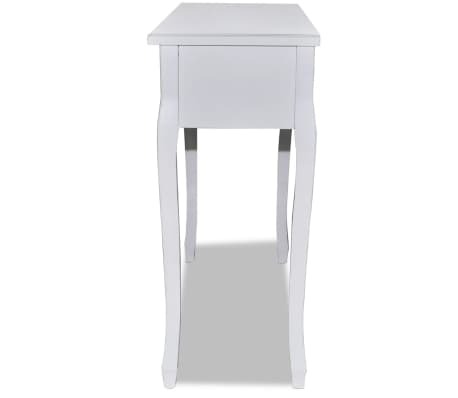 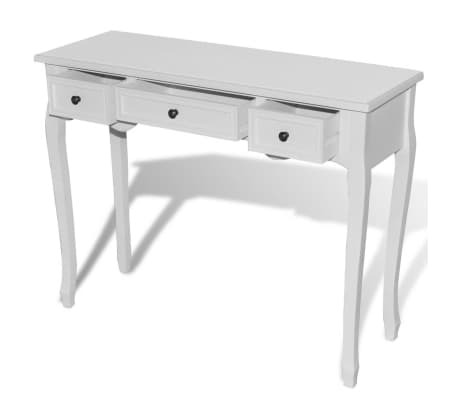 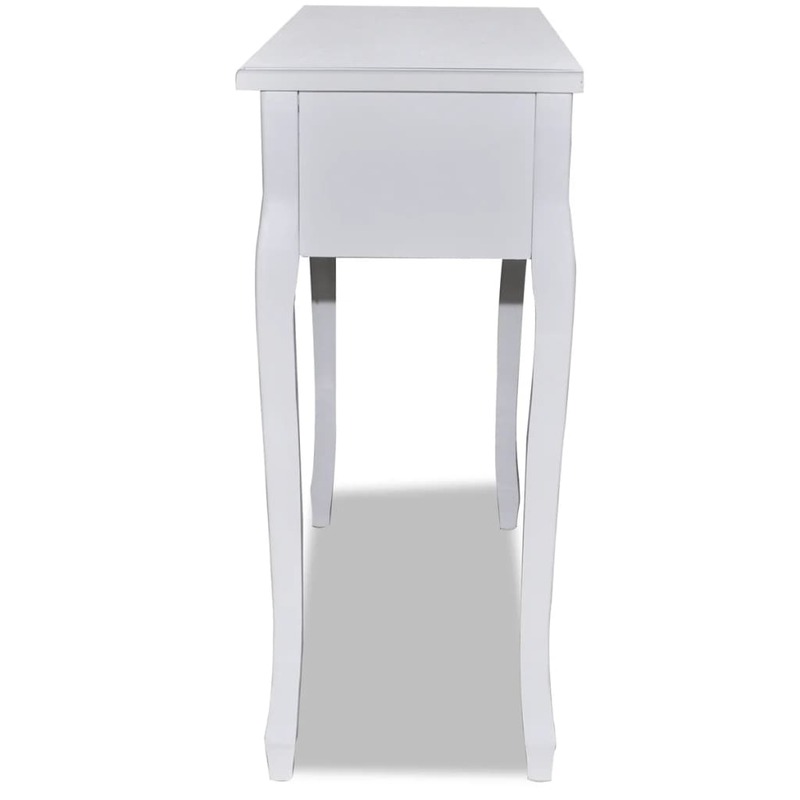 This dressing table is constructed from high quality MDF and pinewood with white painted finish for durability, which gives you years of service.